A169 Kerry Piper-out of the shed! A169 Kerry Piper Galley refurb. A169 Kerry Piper Cabin Table. A169 Kerry Piper Aft Deck repairs. A169 Kerry Piper Hull repairs. Photo: Exterior hull repair collage. Starboard quarter repair – veneer replacement, work in progress. A169 Kerry Piper Transom and Cockpit Drains. Photo: Collage – transom and cockpit drains. 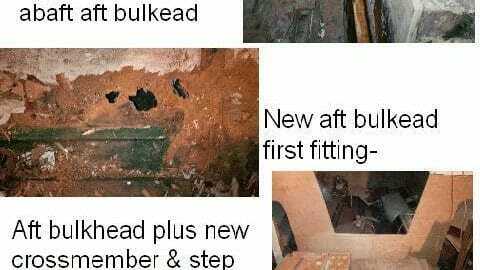 A169 Kerry Piper Bullhead & Galley repairs. Photo: Fwd bulkhead and galley repairs. A169 Kerry Piper Keelboxes and aft bulkhead. Photo: Collage – keelboxes and aft bulkhed. A169 Kerry Piper in 2009 – a lot to do! This picture is of A169 Kerry Piper looking fine in 1999 just before she was sold. A168 Kerry Piper Before/After 1990s restoration. 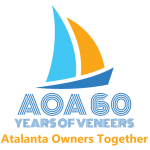 It’s what Atalanta sailing is all aobut!